Not ready to buy the book yet? Come back next week for some of my top tips for returning from maternity leave! In the meantime, happy planning! It’s true. I actually had gestational diabetes with both of my pregnancies, though I’ve never written about it here. I was, of course, happy to share a little bit of my experience with my friend, but – since reaching through the phone to give her a hug wasn’t really an option – I mostly tried to encourage her that this wasn’t the WORST thing ever. I could absolutely relate to her feelings of worry, guilt, and sadness over the first (and, in my case, second) failed tests; but, for me, gestational diabetes ended up almost being a blessing in disguise. I was lucky enough to be able to manage mine through dietary changes both times and, in the end, delivered perfectly healthy little 7 pound babies. Other than the inconvenience and stress of having to prick my finger to take my sugars five times a day and not being able to eat donuts, gestational diabetes really was just a good incentive to eat healthier and get more physical activity during my pregnancies. I figured there are probably other mamas-to-be out there in similar situations (waiting to take the 3-hour test or recently diagnosed with GD), who might also benefit from hearing about my experience. So, below is my story with a few “words of advice” sprinkled in. First though, and hopefully this goes without saying, but just in case: I’m not a medical expert. If you have (or might have) gestational diabetes, you need to work with your doctor to make the necessary changes in your diet (and, possibly, figure out medications) to keep you and your baby healthy. This is just my experience, and yours may be very different. If you want to learn more or aren’t even sure exactly what gestational diabetes is the American Diabetes Association and the American Pregnant Association are two great places to start (just don’t let them scare you). First, deep breath. It really is OK. It is OK that you are sad, and scared, and feel like “the worst mom ever.” I did too. It is OK that you failed the screening. Actually, lots of women do and many actually “pass” the follow-up three-hour test. And, even if you DO have gestational diabetes, that is OK too. Once the shock of it all wears off, it really isn’t as hard to treat as you might think, and you (and your baby) are going to be JUST FINE. It’s OK if you need to cry in a bathroom stall before you go back to work, but know this: You are NOT a bad mom. You’ve got this!! My doctor’s office doesn’t require that you fast before taking the one-hour test, so at 28 weeks pregnant with Sam, I had Cheerios for breakfast (shows you how dumb I was – I thought that would be a good choice since they weren’t sweet), happily chugged that disgusting orange cocktail that had been chilling in my fridge for the last month, and showed up ready to ace this thing. The nurse took my blood and – I kid you not – GASPED when she read my blood sugar. I can’t remember exactly how high it was, but I think they are looking for something under 140, and I know mine was over 200. I’m still a little bitter at that nurse. She should have told me not to eat Cheerios when she warned me about the test at my last appointment, and she certainly shouldn’t have acted like my blood sugar was the worst thing she’d ever seen. I hadn’t even had my baby yet, and I already felt like the worst mom in the world. Yes, I cried. Yes, I Googled the heck out of “gestational diabetes.” Then, I scheduled my 3-hour test and tried to think of it as a nice “break” and bought myself some fun magazines to read… The 3-hour test is exactly as lovely as it sounds (sorry). This time, at least, they told me not to eat or drink anything after midnight the night before, and I’d “wised up” a bit and tried to limit my carb/sweets intake for the week or so leading up to it. When I got there, a nurse took my “fasting” blood sugar. Then, I got to drink my second helping of that lovely orange cocktail, and had blood drawn to test my sugars after one hour, two hours, and three hours. Good times. The good news (I guess) is that you get your results pretty much immediately after each test, so there’s no anxious waiting around. The bad news is, I’m pretty sure you only have to fail one of the four to officially “fail” the test and be diagnosed with gestational diabetes. I can’t remember my numbers, but I failed. ***ALSO, it’s worth mentioning that the internet is a wealth of information when it comes to quick tips for “tricking” or “cheating on” the glucose test. Trust me, I’ve been tempted by them. I get it. BUT, ultimately, I realized that if my body isn’t managing glucose and insulin well, I NEED to know that and be able to fix it. Thankfully, there are fairly easy ways to treat gestational diabetes available today – either through diet or medication – but , left undiagnosed/untreated, it could be VERY dangerous to my baby. Sure, eat eggs instead of Lucky Charms before your test; but, don’t try to outsmart the test. The benefit isn’t worth the cost. After my official diagnosis at the 3-hour test, a nurse called me to set-up a “diabetes education class” where I would receive my glucose monitor and be taught how to check sugars and adjust my diet. It was three hours one afternoon, which meant another afternoon off of work, and – in an effort to be totally transparent – it was pretty miserable. By this point, I’d had about three days to worry myself absolutely sick about what gestational diabetes would mean for my baby and beat myself up about not being healthy enough (or, really, skinny-enough in my mind) to provide a safe place for him to grow. I was a wreck. The internet is no help here. I read horror stories of women being forced to have c-sections because their babies were 100 pounds at birth (OK, ten, but you get the idea), and babies having to be rushed to the NICU after delivery to receive treatment for high sugar levels. On top of all the guilt and worry, I was also – frankly – mad. Aren’t pregnant women supposed to be able to eat ice-cream every night? This wasn’t FAIR. Why me?!? These were some HARD days for this pregnant mama. I like classes, so the class itself wasn’t terrible. They gave me lots of literature, taught me how to use my glucose monitor and track my sugars, told me what numbers I was aiming for each time, and answered my questions. One of the questions I had was if I had done something to make this happen… Was it my weight before I got pregnant? My (possibly excessive) weight gain during pregnancy? My poor eating habits? They answered with a resounding “NO,” but I’m going to tell it to you straight here… I think they were WRONG (or sparing me, either way). Listen, I don’t think ALL cases of gestational diabetes are related to the mother’s weight/health. There are plenty of other things that can “cause” it like certain medical conditions, advanced maternal age, or a family history of diabetes – but I didn’t have any of those “risk factors.” The truth was: I COULD have been healthier when I got pregnant with Sam. Beyond that, logic says that if the condition could be “fixed” by my diet and exercise habits, it was likely also “caused” by them. Right? This was hard for me to accept and – honestly – I didn’t really at the time. I preferred thinking it was out of my hands. But, now that I’ve had over 5-years to process it and admit to myself- I think my story would have been different if I had been healthier going into pregnancy. There. I said it. Do with that what you will. For about three months, I watched what I ate and pricked myself four times a day to get a sugar reading – once in the morning when I first woke up (known as the “fasting level”) and then two hours after every meal. My goal was to have readings between 60 and 90 in the morning and to stay below 120 throughout the rest of the day. For me, that meant having a very small breakfast with no fruit or juice (around 30 grams of sugar), sticking to 45 – 60 grams of sugar at lunch and dinner, and having several small snacks throughout the day (remember, it’s important not to crash either) with about 15 – 30 grams of sugar. I also found that my fasting numbers – the hardest one to regulate – were better if I had a rather large/high-protein snack right before bed.I kept a log of everything I ate in the beginning, and then, eventually, just of my sugar readings. This log went to my OB at every appointment, and if things looked OK, that’s the only “check” he did. Yes, it was overwhelming at first. Yes, it was annoying to have to keep a constant eye on the clock and prick my finger multiple times every day. Yes, I felt like a child having to take my “homework” sheet to the doctor each appointment. And, yes, the pricks hurt sometimes. BUT, all that inconvenience became second nature after doing it for a couple of weeks. Seriously. By the time I delivered, it was no.big.deal. To be honest, gestational diabetes was probably one of the BEST things to happen to me from a health/nutrition standpoint. Prior to my diagnosis, I had gained a lot of weight in my pregnancy; but, afterward, both times, I only gained a tiny bit. In other words, I gained the vast majority of my “baby weight” in the first half of my pregnancy instead of the second half as is typical. I shutter to think what might have happened to my body had I not had gd. Seriously. As a result of those three months or so (x2) of monitoring my sugars and tracking my food and exercise, I also learned a lot about how my body processes things and what is good for me. For example, I learned that bananas are high in sugar and green fruits (like green apples) are the lowest. More importantly, I learned that making conscious decisions about what and when I ate actually made me FEEL good ( or at least as good as one can feel at eight months pregnant). Four years later, when I was pregnant with Nora, my OB tested me early (at 15 weeks) and I actually passed the test in the office!! It was only a matter of time though… At 28 weeks, I got a slightly elevated sugar reading. He thought I *might* pass the 3-hour test, but by this time, I knew the drill… Because I didn’t want to risk a “fluke” pass that might be a risky for my baby, and I didn’t really want another orange cocktail (it would have been my FOURTH) or another morning off of work, I asked him if I could just get a prescription for the test strips and start monitoring my sugars. So, basically, I diagnosed myself and put myself on the “diet.” Ha. It came really naturally this time and felt much easier to manage. Plus, by this point, I knew how much it actually helped me to pay attention to what I was eating etc. I never regretted that decision. Nora, too, was born right on time at 7 pounds, 4 ounces and never had a sugar problem. And there you have it. 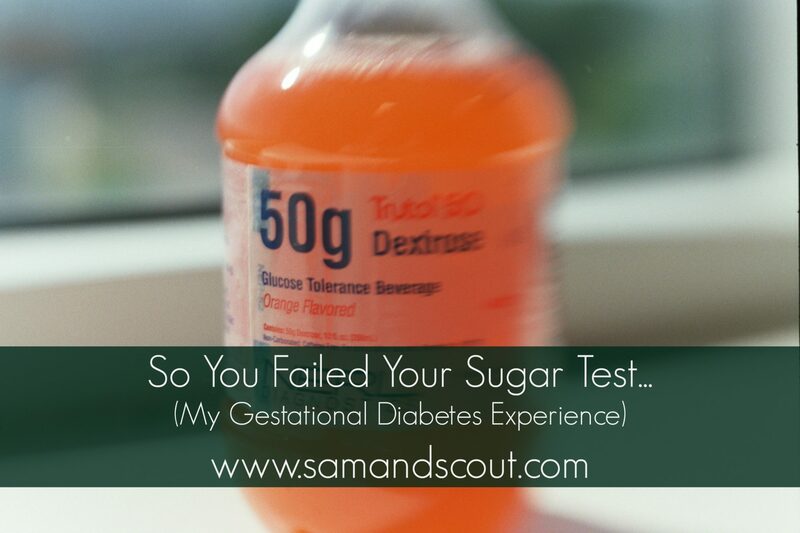 My gestational diabetes story. Although it’s not the story I would have written, it has a happy ending. And, mama, yours will too. Motherhood is all about making sacrifices for what’s best for our babies. It’s about doing things that are hard and inconvenient and – sometimes – embarrassing. It is HUMBLING. But the prize at the end… It is 100% worth it. You are a GOOD MOM already, and you’ve got this! 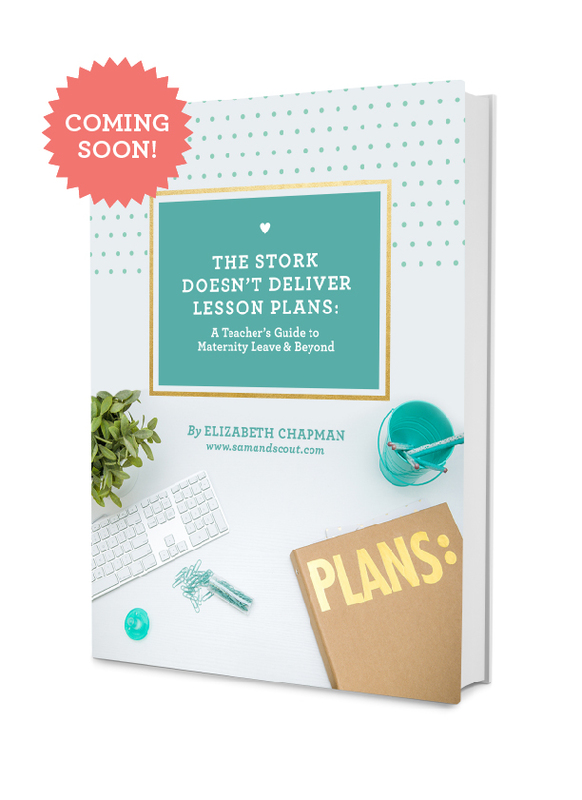 Check out my eBook The Stork Doesn’t Deliver Lesson Plans: A Teacher’s Guide to Maternity Leave and Beyond or sign up for my FREE eCourse Maternity Leave 101 now. Maternity Leave 101 is an email mini course based on my own experience and designed to help soon-to-be teacher-moms prepare for their own maternity leave. When you sign up, you will instantly gain access to my BIG MATERNITY LEAVE CHECKLIST FOR TEACHERS that includes absolutely every step you need to take (and then some) from the time you first find out you are pregnant until after the baby is born. Then, in three lessons, we’ll cover how to set up a long-term substitute binder, write lesson plans, and prepare your students for your time away. Best of all, it’s completely FREE!! I’m so passionate about keeping great teachers in the classroom after they have a baby, and I’m thrilled to offer a resource that helps to make that possible. 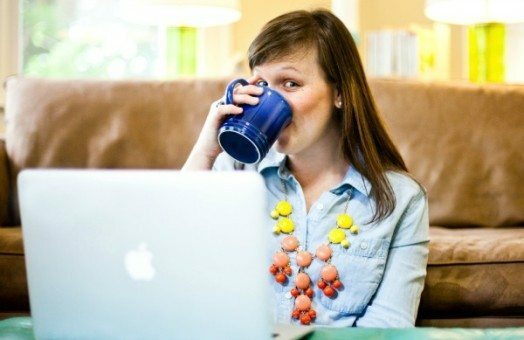 Maternity Leave 101 will jumpstart your planning and take some of the stress out of this crazy-exciting season. If you’re having a baby this school year, you don’t want to miss it!!! SIGN UP FOR MATERNITY LEAVE 101 HERE!!! I CAN’T WAIT for you to get started!! P.S. The fun doesn’t stop here….. Stay tuned!